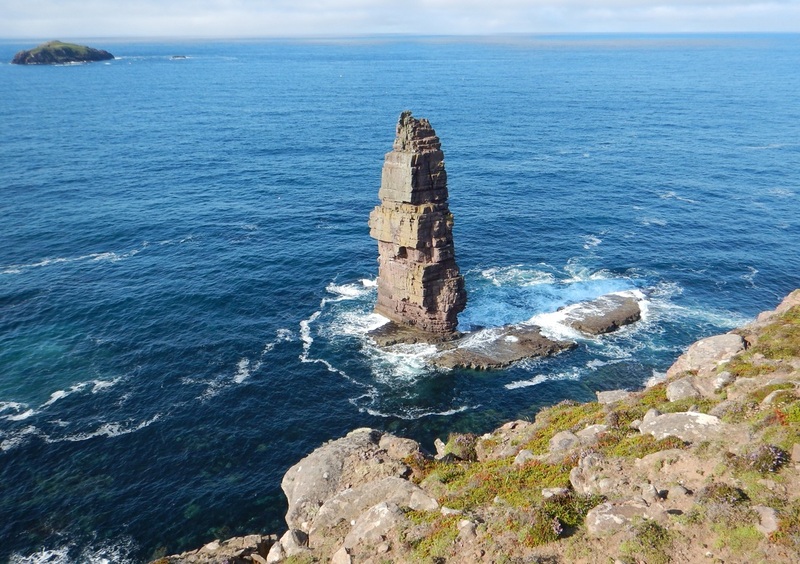 ​An interest in sea cliffs seems to quickly lead to a keener one in sea stacks. 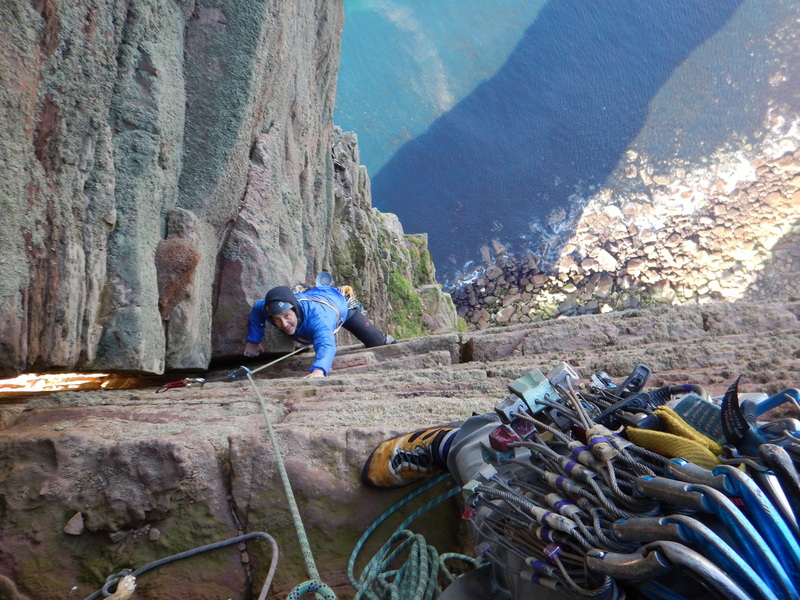 Just too prominent a climbing goal to ignore, maybe lodged in my mind long ago by mainstream awareness resulting from the original televised ascent; one of biggest - the Old Man of Hoy - soon headed up my dream tick list. 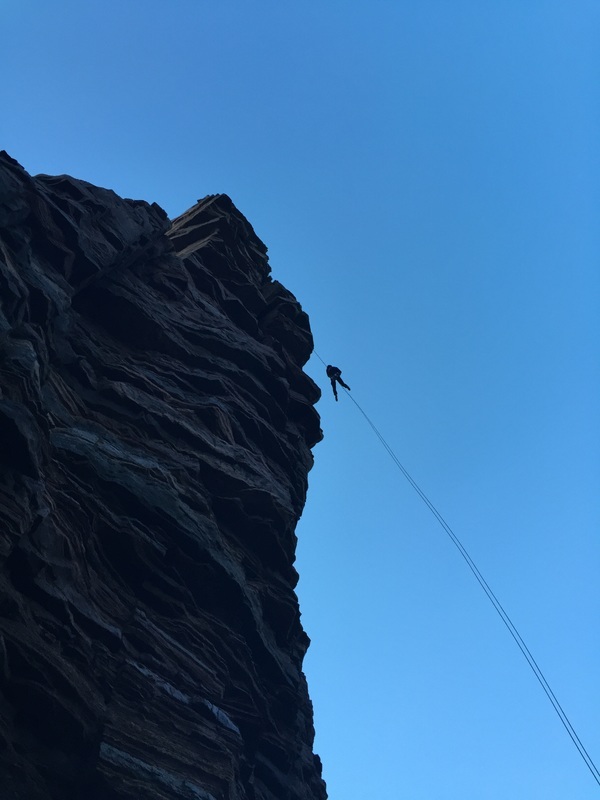 The ambition to climb it put me on it too soon, with a climbing partner who called time at the top of the first pitch in the face of the reality. Whether it would have gone that day with more willingness, I don’t know. I’d tried hard to improve my climbing prior to the trip, but it was probably for the best; if difficult to accept on the first belay. ​A few years later, after a period of trying less hard, my friends said it was time to cross it off – probably having listened for too long to my account of that first attempt. Great news, but to complicate matters, I’d put off dealing with a cartilage tear in my knee for the sake of one climbing trip or another. 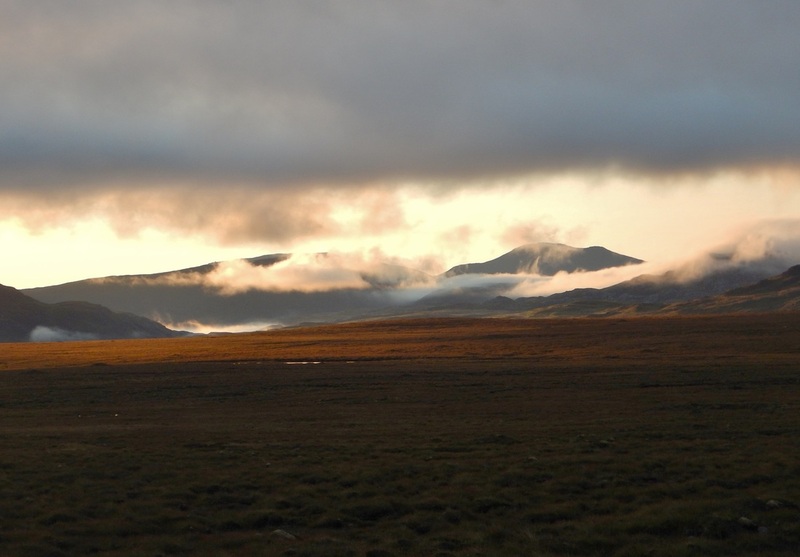 It had steadily worsened to the point where six weeks prior to our planned journey North, it failed badly getting into my tent after a great days climbing at Range West, causing pain that didn’t let up as it had done before. A trip to A&E and a physio confirmed there was nothing to do but rest and I tried not to think about the possibility of a cancellation. 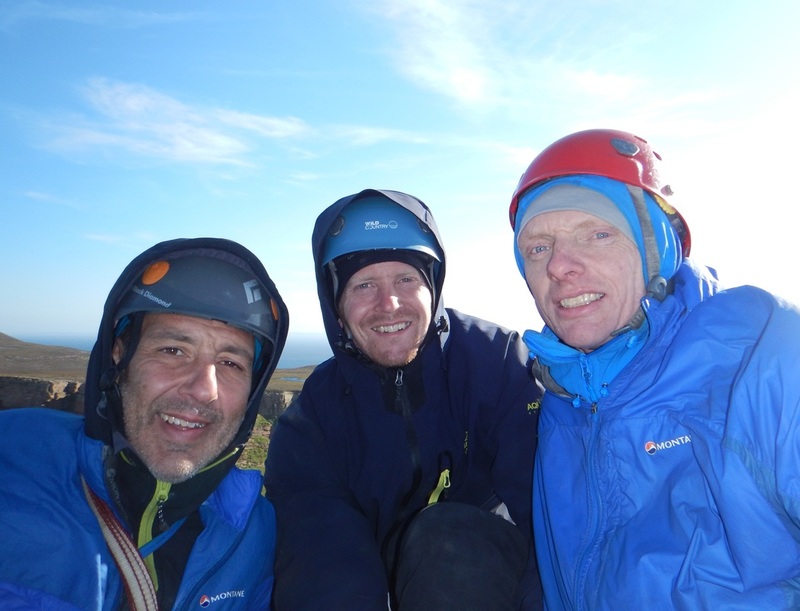 ​The pain subsided and I talked things through with Harry and Andy who said they would climb with me regardless. 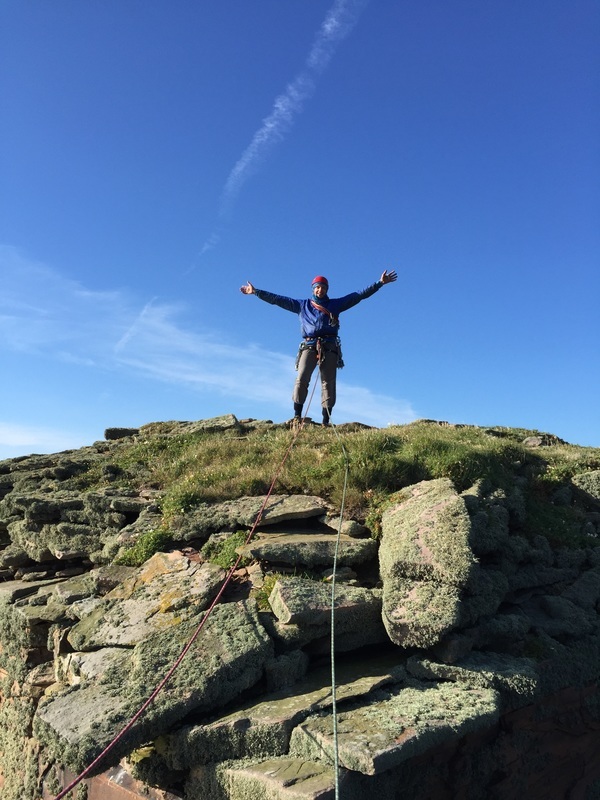 I decided to take a lot of pain killers, not bend my leg more than 90 degrees and use walking poles whenever not on a rope…..challenging as our plan took in the Old Man of Stoer and Am Buachaille as a warm up for Hoy in a nine day itinerary. 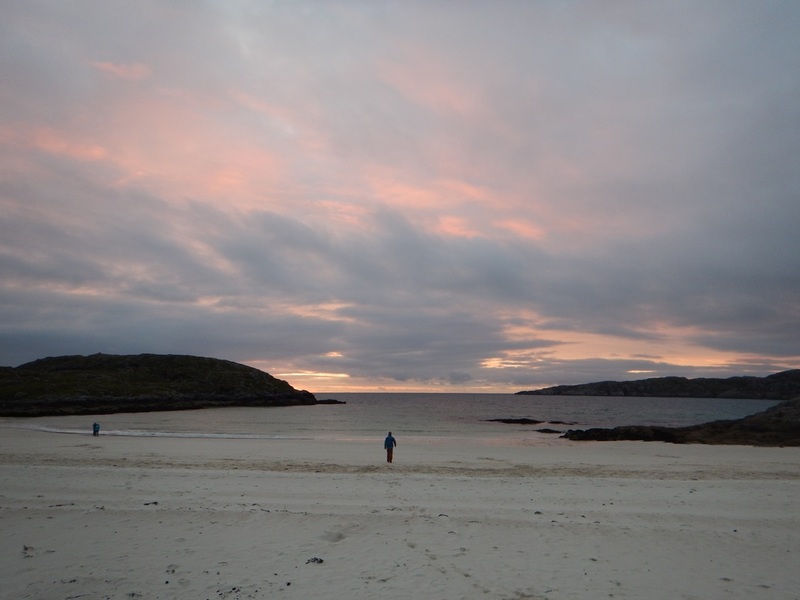 The time came and with a car containing a lot of rope, a dinghy, wetsuit and an unrackable quantity of large cams, we made our way to Achmelvich Youth Hostel, arriving in time to watch a beautiful sunset from a white sand beach. 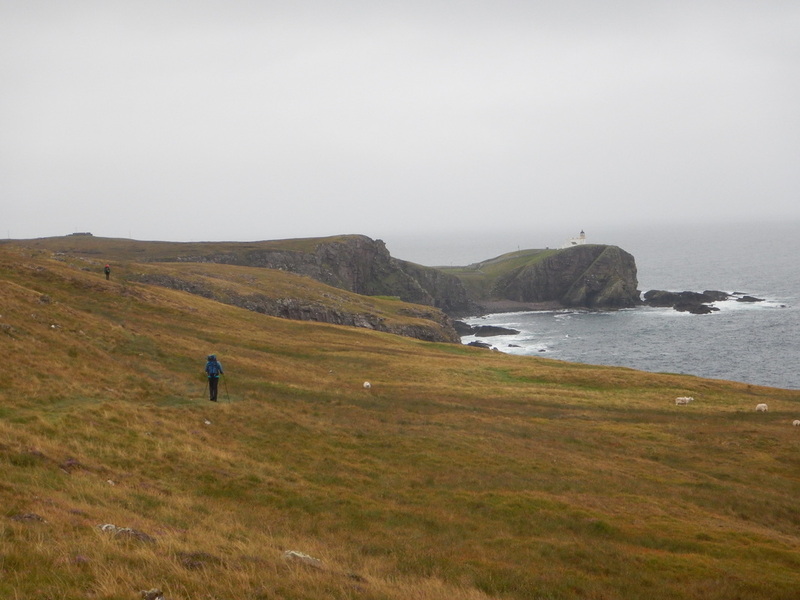 ​After an early start we headed up the road to Stoer Lighthouse to park up and sort our kit. 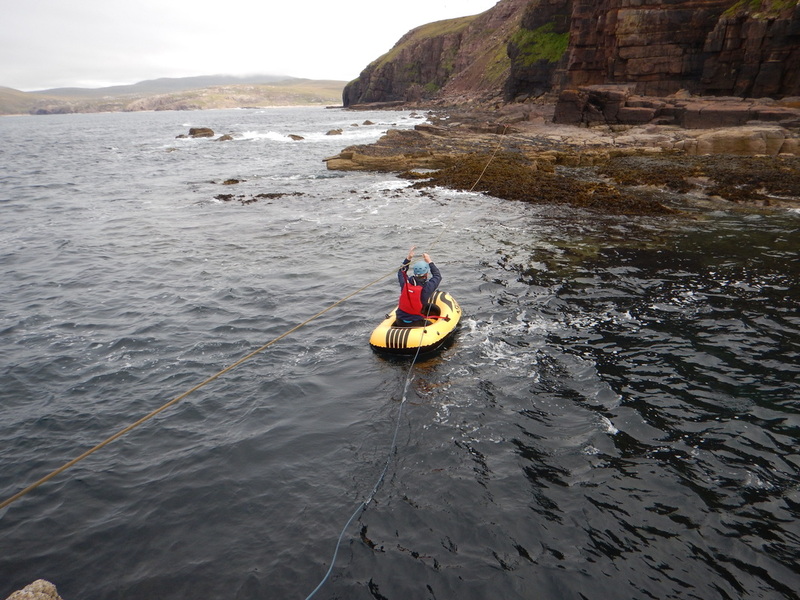 Having looked at the Northern Highlands North guide book, we knew we had to cross a sea channel with good anchors for a Tyrolean either side, so decided to go with the wetsuit and not bother with the dinghy. Walking North along the coast path, the Old Man soon came into view. Looking at it, it was hard not to think - if that’s 60m, what’s 140m going to feel like later in the week. Having got our bearings, we descended down the steep path opposite the stack to reach platforms by a lively looking sea channel full of froth. 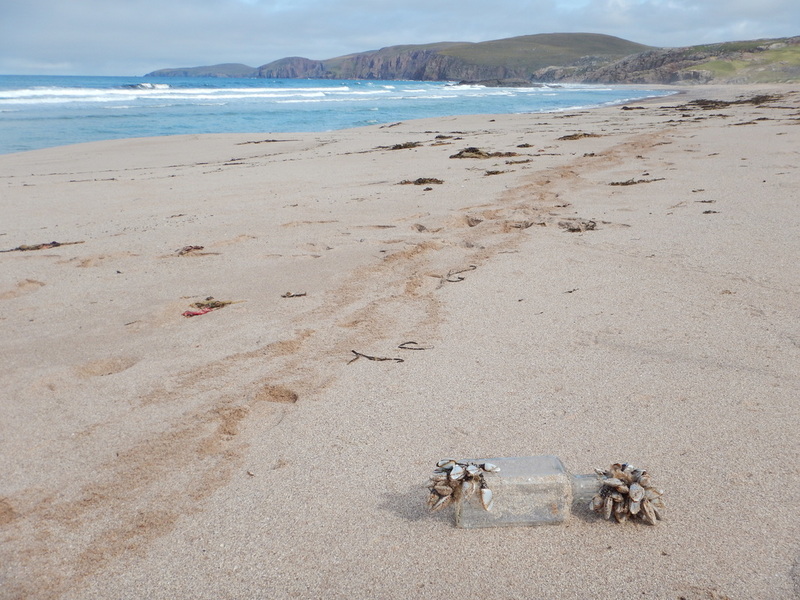 ​I swam the channel after a quick false start, with a wave putting me back out as I tried to get in, and set the anchor to start bringing the gear across. 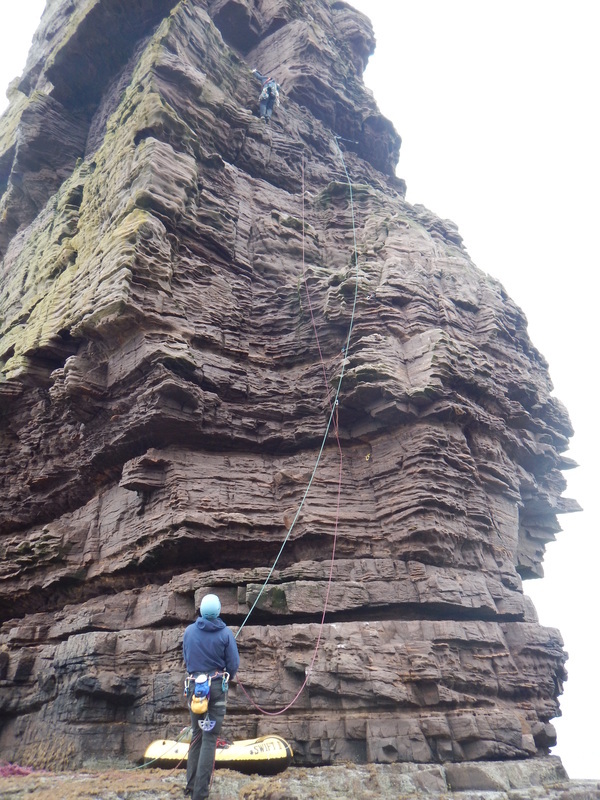 Having re-grouped at the base of the stack we had a good look at the first pitch – a traverse along a crack at above head height – realising that with all the sea spume floating around, it was as if it had been covered in grease. 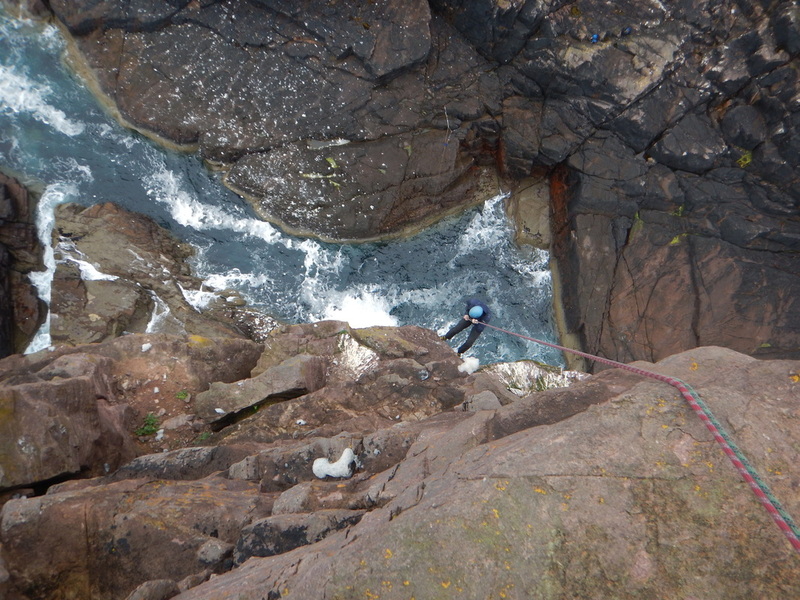 Having checked out the alternatives, Andy led this first pitch which felt desperate to follow - as I struggled to make my hands stick and had to resort to using the gear to get across. ​The next pitch was straightforward and the one after - a 5a pitch with a rightward curving crack at the start - felt stiff but OK. After that we’d expected things to back off but, whether we’d gone off line, soon found ourselves on moves that felt harder than 4b - with a very awkward pull into a steep groove with little for your left leg. With that difficulty cleared, it was steady ground to the top and the first summit of the week. 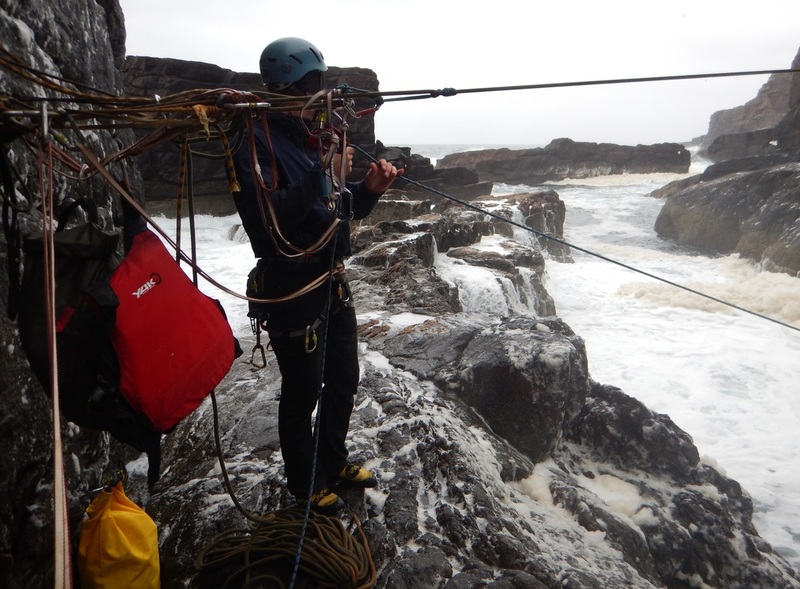 We took some time to soak up the situation then made the abseil down off a jumble of tat back to the Tyrolean anchor. ​Up on the coast path, looking back to the stack, we were delighted with a day that had been successful if a bit damp and grey. We knew the weather was supposed to improve and crossed our fingers for the rest of the week. After a short drive we reached the camping field next to Sheigra beach and walked our kit over the stream to set up our tents on the grass behind the sea shore. 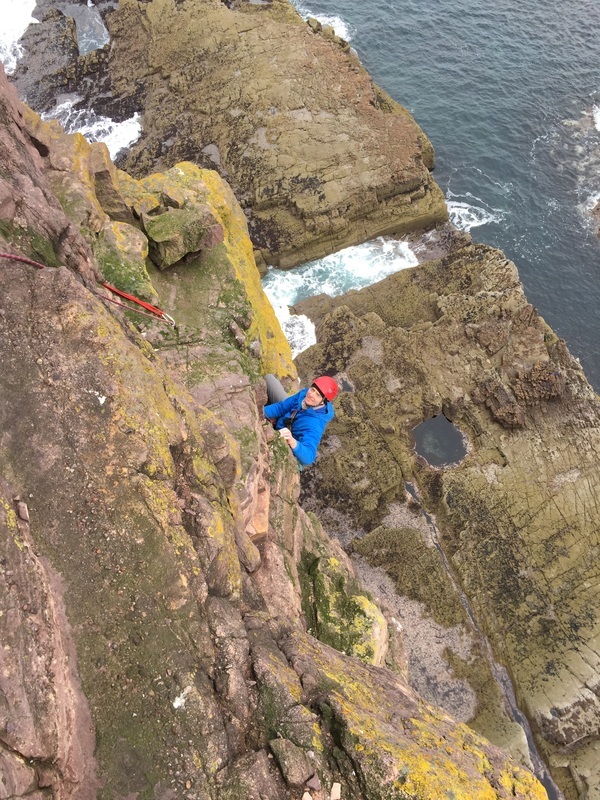 That night we discussed the plan for the next day – considering whether to try and get straight on Am Buachaille, or to use the time to work out a game plan for the following day and climb at Sheigra cliffs if we had time. We opted for the latter and it turned out to be a good call, allowing us to get to grips with the logistics of the approach to the stack. ​The next morning we drove back up the road to park by start of the signposted walk to Sandwood and set off along a scenic path to the spectacular bay. Having soaked up the view and got our first glimpse of the stack at the South end of the Bay, we headed to the end of the beach to pick up the start of the coast path. After a short walk we were looking down on Am Buachaille and the wave washed platforms around it. Before long we located the descent path, that leads down over loose rock, then across a boulder beach at the base of the cliffs to the bottom of the stack. ​The low tide had been and gone and while we were able to explore the platforms, the incoming water was making crossing the channels challenging. 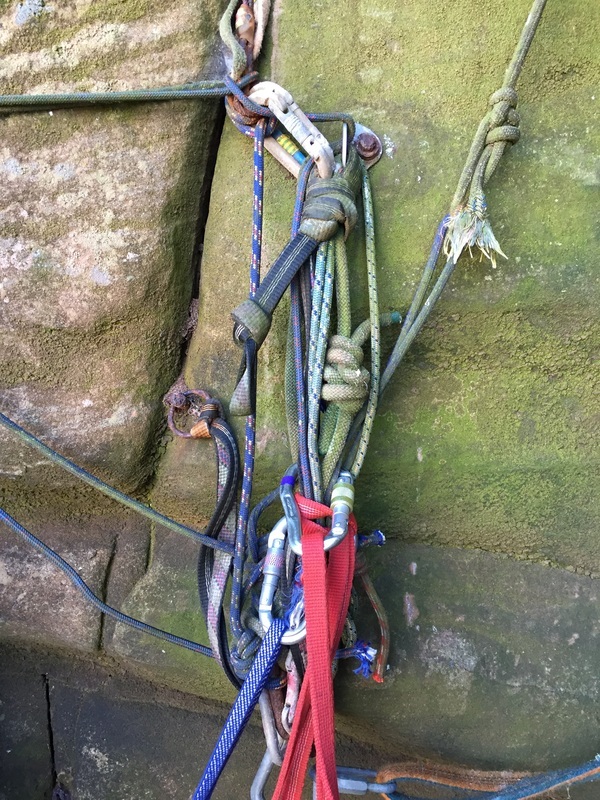 It was clear that there were no high anchors for a Tyrolean, so we decided we would need to make a swim to set up a tensioned rope across the channel and then handrail along it in the dinghy, climbing either side of low tide before the platform at the base of the stack and the landward anchor point became wave washed. We headed back up to the cliff top, taking a direct line through the hills back to the path and then the car, memorising the route for the next morning. 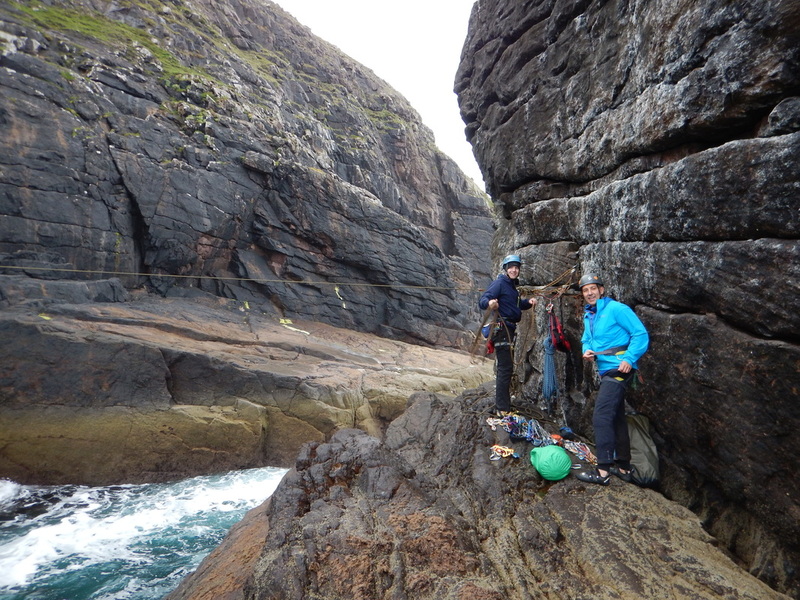 There was no time left for climbing - it had taken pretty much the full day to recce the route and explore the area. ​We walked in at first light and having picked up our more direct approach route, were soon at the base of the stack. We made the swim, set up the rope and ferried everything across with the dinghy. The first pitch was straightforward, while very sandy and quite run out in its top half. Things stiffened up off the ledge at the start of pitch two, with a steep corner leading to an awkward move to gain a shelf before easier moves to reach the next belay, from there the route went leftwards over large featured holds and more easily to another great situation on the summit. 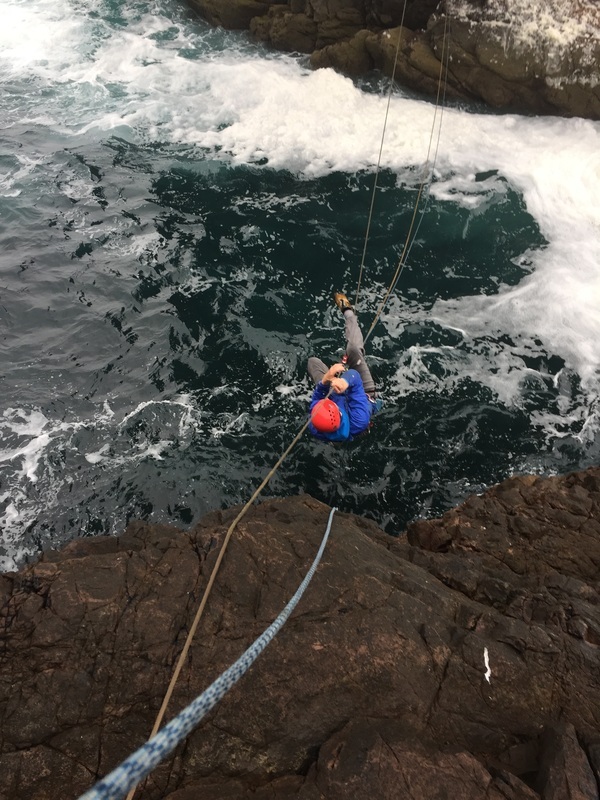 ​Looking at the sea channels below, time was marching on, so we made a quick abseil back to the base, reversing our approach to gain the platforms opposite the stack; hopping boulders in between them just in time to avoid getting wet feet. We packed up our extensive array of gear and picked our way back along the boulders. Walking out in the early evening after another full day, we felt extraordinarily lucky to have climbed both stacks and our thoughts started to turn towards Hoy. 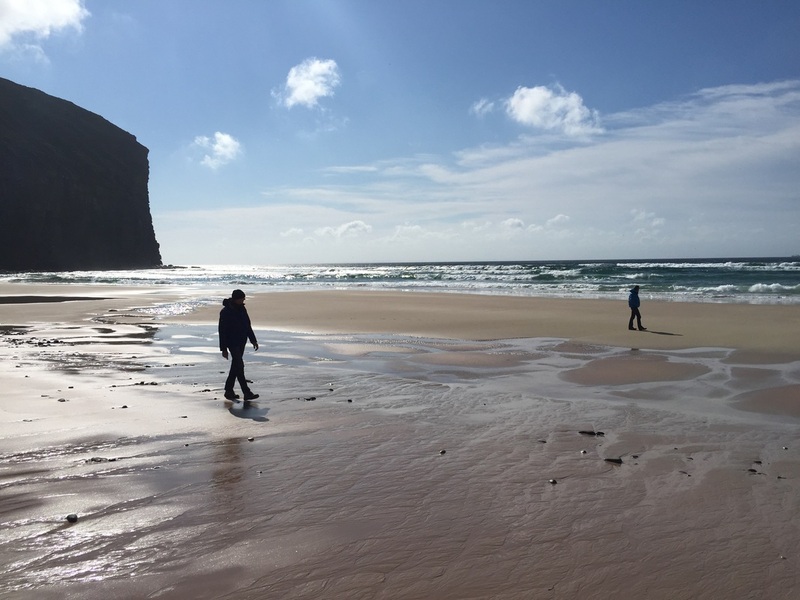 We ended the day with a wonderful drive along the North coast of Scotland, discovering what felt like another perfect view and white sand beach around every corner, until the landscape changed towards the end of the journey, past Dounreay towards our hostel in Thurso. 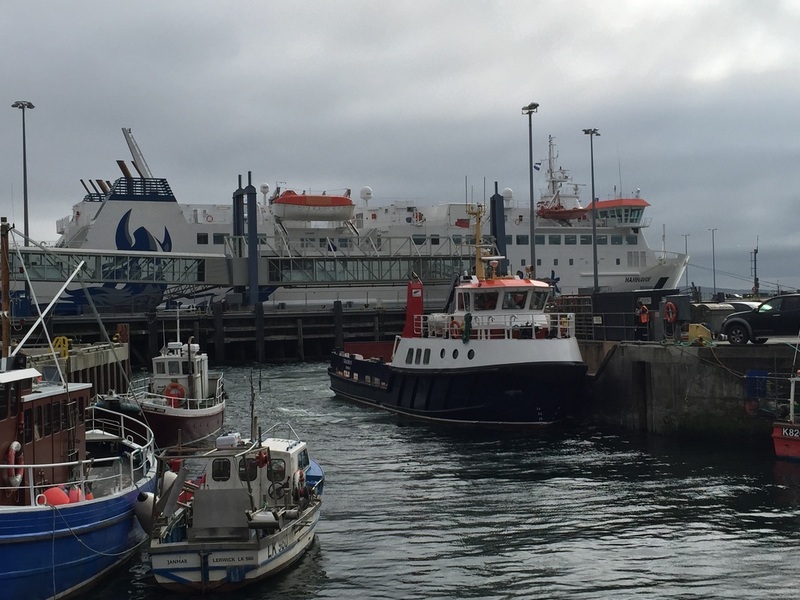 ​After a very short stop over and a short wait at the ferry terminal in Scrabster, we were soon at sea, making progress towards Orkney Mainland. 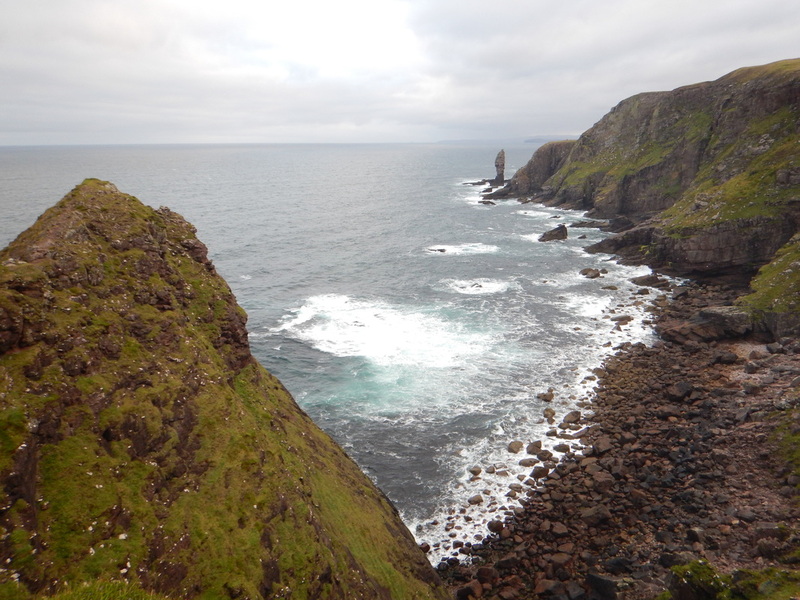 It wasn’t long before the Old Man of Hoy and St John’s Head came into view, the weather brightening as they appeared. 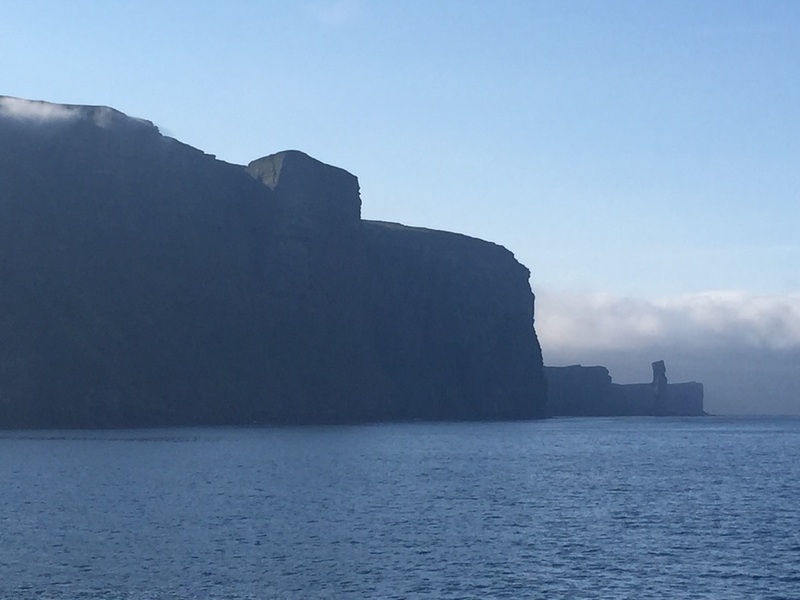 The difference in scale compared with the first two stacks was immediately, awe inspiringly obvious; the cliffs of Hoy dwarfing what we had experienced so far. After they slipped out of sight, we quickly arrived at Stromness harbour, grabbing some supplies before getting on the nearby passenger ferry to Hoy. 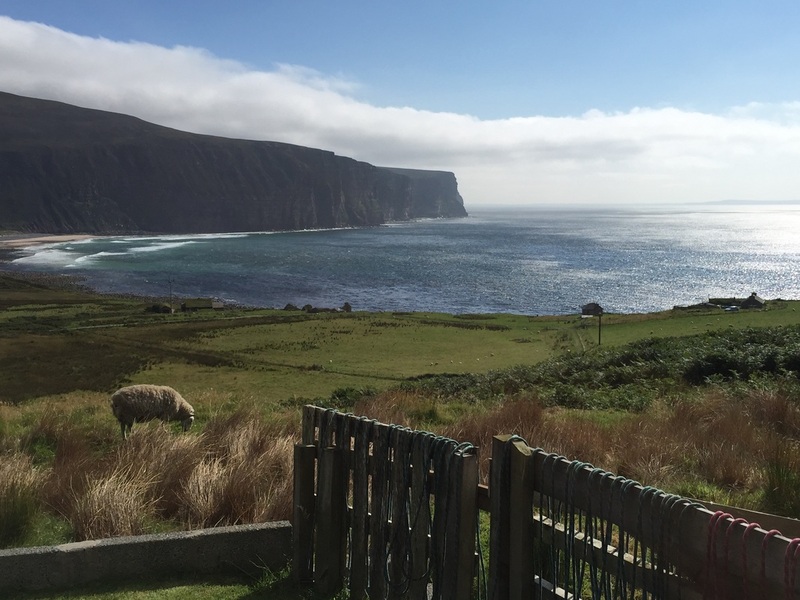 ​When arranging accommodation on Hoy, we’d tried to get into the hostel at Rackwick but it was fully booked out to an outdoor education group. After considering camping and the bothy on the beach, ruling them in then quickly out, we booked Scar Cottage overlooking the bay. Albert, who picked us up from the ferry on arrival, said it had a great view - but with the blue skies and bright sunshine, we weren’t prepared for just how great. A perfect cottage just under the footpath up to the Old Man with a magnificent view to the surrounding hills and cliffs framing the bay. We dropped our bags, grabbed a pair of binoculars and took the walk out to the Old Man…..where - having come to terms with the scale of it - we spent an unhealthy amount of time peering at the second crux pitch, then trying to pick out the remaining belays and build some remote familiarity. ​The next day we started the walk in while it was still dark in a bid to maximise the time available, arriving at the base of the stack as sunlight fell across it. The first pitch was straightforward and we arrived at the gallery without difficulty, knowing things were about to get significantly more committing. Harry racked up most of our enormous cam collection and headed off down and onto the ledge that leads to the short wall below the crux chimney and corner. 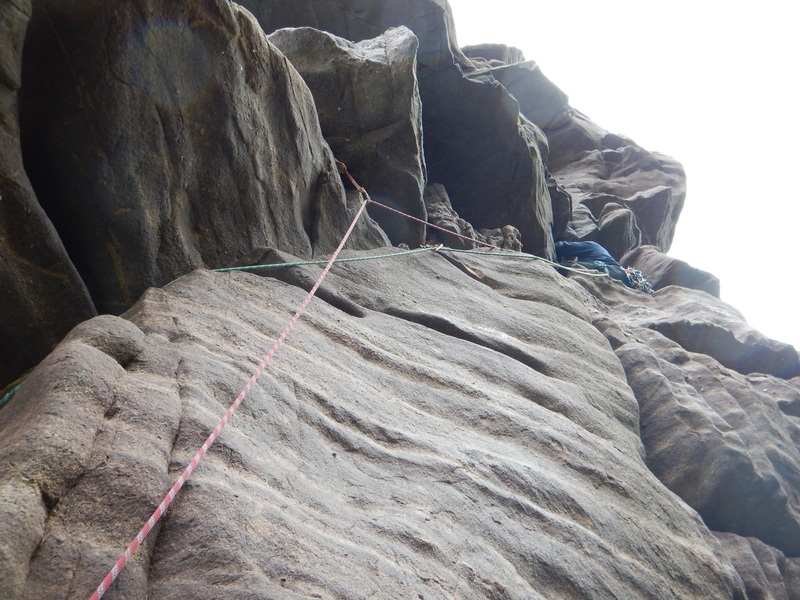 After the battle out of the chimney to get established above, he moved quickly up the corner to reach the belay. Following on, I found the section between the gallery and the bottom of the chimney extremely slippery with all the sand but clean thereafter. 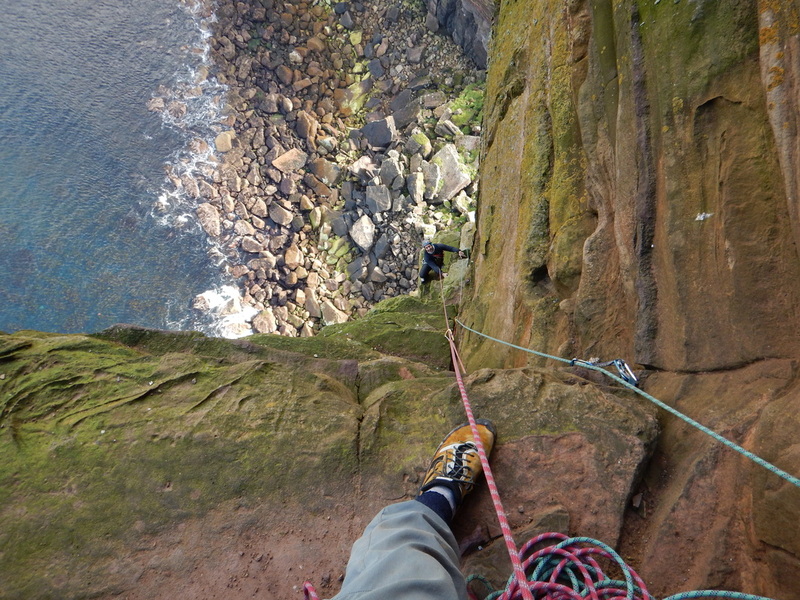 The pull out of the chimney was physical but positive – admittedly some of the positivity coming from a stuck cam from a previous ascent – and the corner above, although steep, was broken up with good foot ledges throughout, finishing at the top with a very thought provoking move across to the belay. 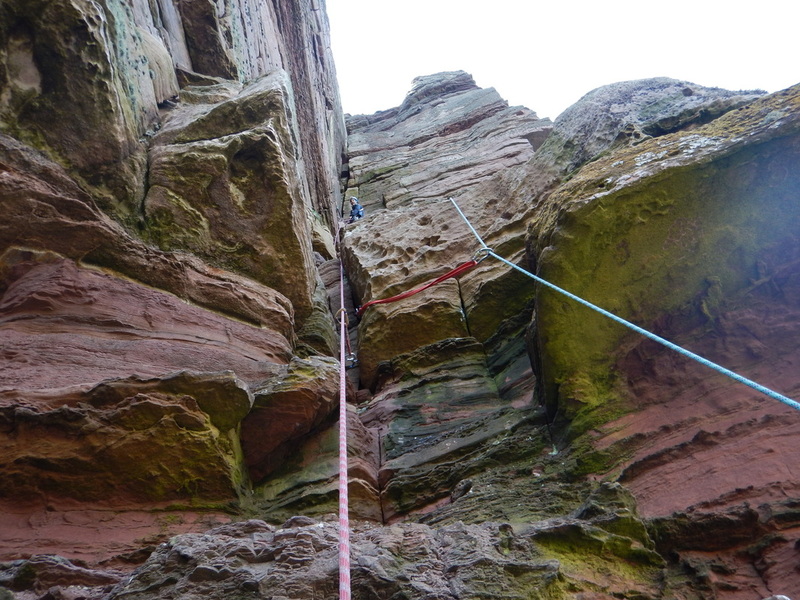 ​It was undoubtedly a relief to have the crux out of the way - with that done the next two pitches up to the base of the final, open book corner were straightforward, with some weaving around but good holds and gear. The final corner was fantastic, steep but positive and well protected; splitting at the top to provide a view between the two parts of the summit. 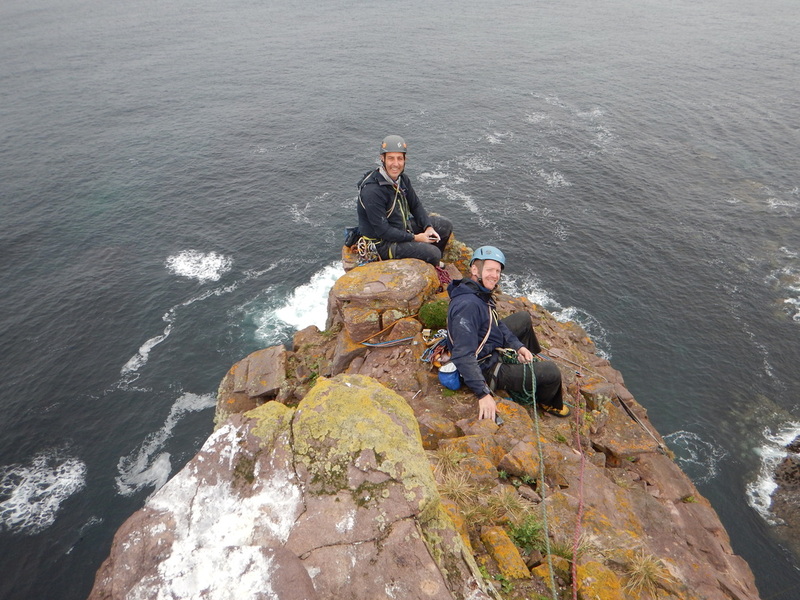 Having re-grouped at the final belay at the top of the corner, we stepped up and onto the top of the stack to take in the amazing view of Hoy. I spent some time looking for a log book that wasn’t there or that I couldn’t find, before the elation of being on top gradually gave way in the face of the relentless wind to the feeling that we needed to be back at the bottom. We got off to a poor start with the initial abseil, when we mismanaged the ropes and they whipped around a wall, necessitating crabbing across it on the ab line to get them back - this experience encouraging a more disciplined approach to the remaining abseils which went smoothly; noting the feeling of commitment on the final 60m descent to the floor, with the wind blowing the ropes to the extent it was difficult to feed them through the belay plate and move downwards. The same wind also making any explanation of the issue impossible, so that the man above remained convinced the man below was pulling on his ropes and locking him off. 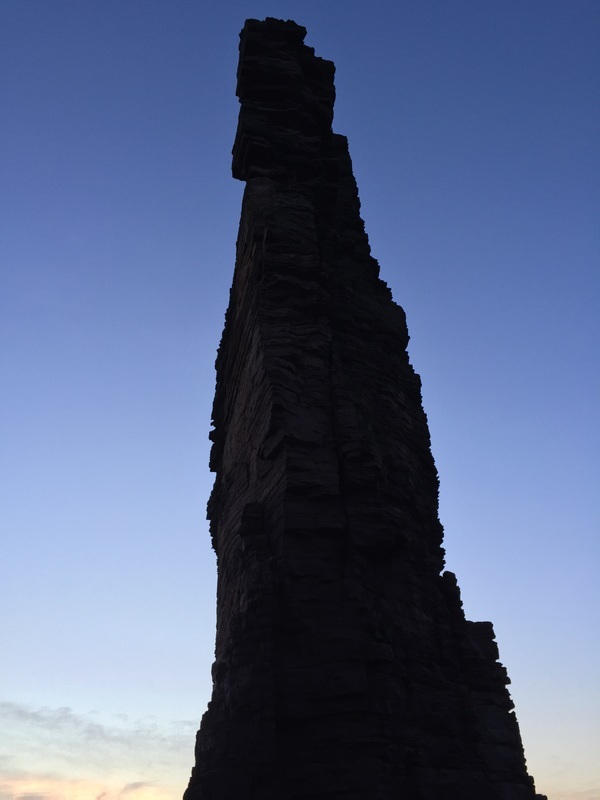 ​Back on the ground in the small cave facing the stack, we stared up at it for a while in the fading light before picking our way up the path to reach the cliff top when darkness finally fell. As I walked out to the cottage, I could not believe we had managed to climb all three stacks over six great days. 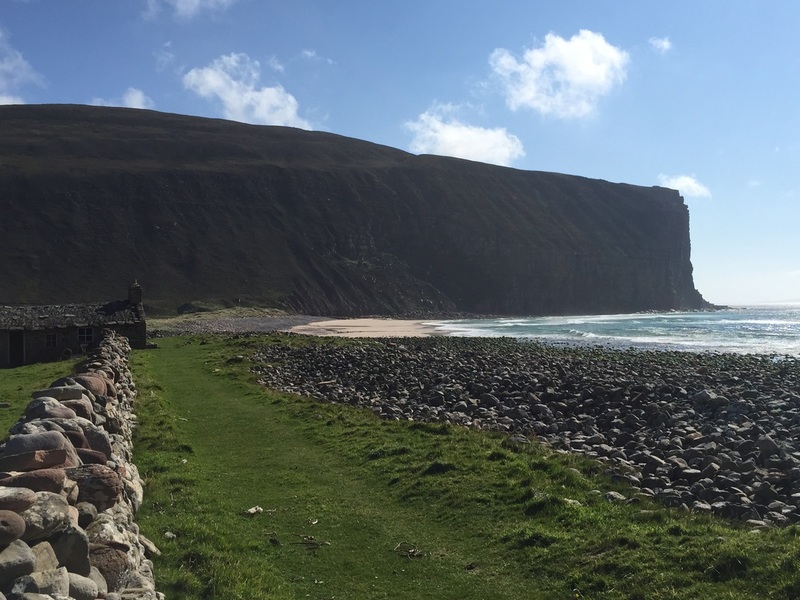 The next morning, relaxed and with a day spare on Hoy, we took it easy; enjoying Rackwick Bay, checking out the bothy by the beach and then walking up to the Dwarfie Stane. The next day, Albert got us back to the ferry and the perfect weather we’d enjoyed started to change. ​Arriving back in Stromness we had some time before our departure to Thurso, so we took a drive to see the standing Stones of Stenness, the Ring of Brodgar and Skara Brae….leaving just enough time, not to climb the front page route of the Northern Highlands North guidebook, but at least to walk to it. 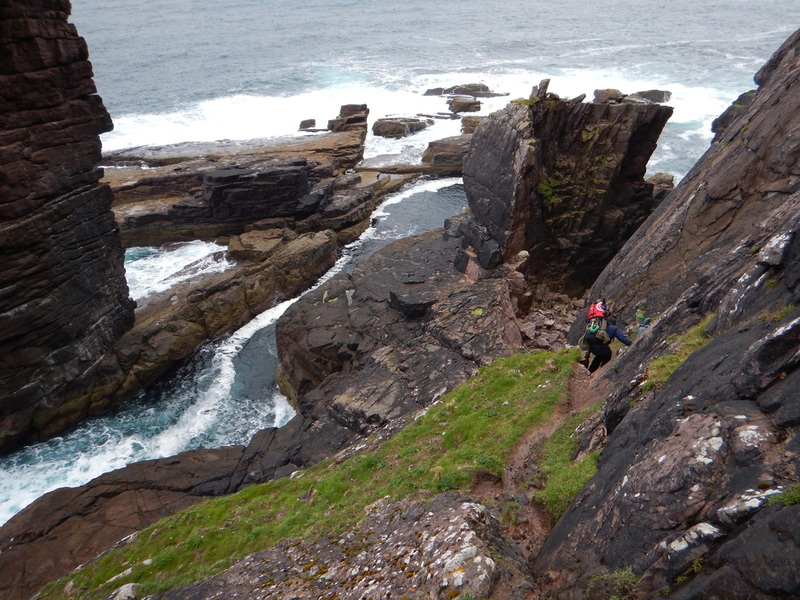 The coastline to and beyond the Castle of Yesnaby looked to offer some great climbing, with the stack itself looking superb, if a bit too hard. Then North Gaulton Castle came into view - a large oblong when viewed from the side, that didn’t reveal its deceptive guide book aspect until viewed dead on from the front. It was a difficult place to leave, but we needed to back for the ferry. With a large collection of photos stored away in support of a future outing, we headed back to the car, the ferry and a then a scenic drive down the East coast before an overnight stop in Aviemore to break the journey home. ​In summary this was fantastic road trip taking in three great objectives. 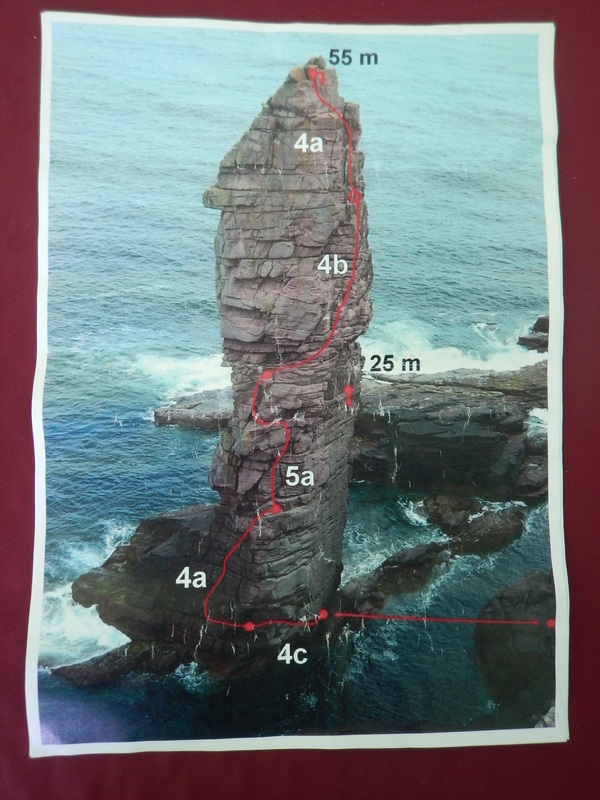 I found the climbing on the Original Route VS 5a on the Old Man of Stoer tough in places, particularly the initial greasy traverse. 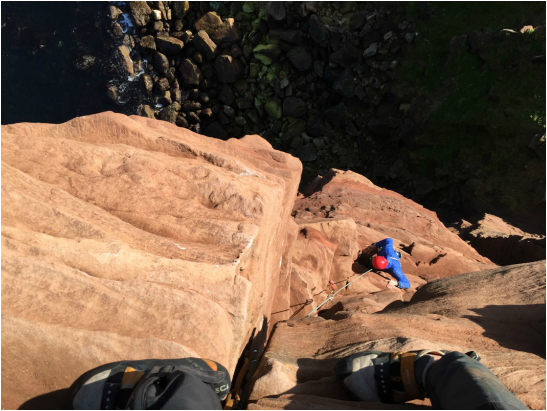 The Landward Face HVS/VS 4c on Am Buachaille was my favourite - while the stack was logistically a bit more of a challenge to get at and away from, I really enjoyed the climbing and the wonderful location. 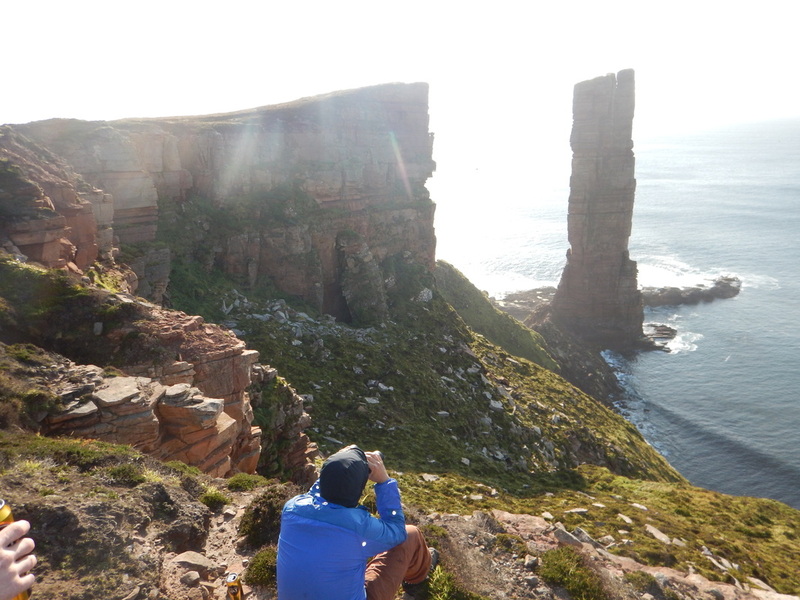 The Old Man of Hoy is a magnificent adventure and Hoy, Rackwick and the cliffs around St John’s Head are all very special and memorable places. Regarding the grade of the Original Route E1 5b, while I've no doubt the route deserves its Extreme rating as a package – tough climbing, remote and committing location, massive exposure, multiple abseil descent – I couldn't tell if the crux felt more HVS....though it’s difficult to be sure on a top rope, with aid and a dysfunctional left leg.